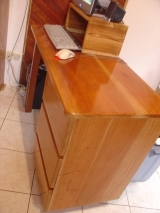 Spanish cedar (Cedrela odorata) or Central American cedar is a very commonly grown wood that makes beautiful furniture. There are actually 30 distinct species of Cedrela growing in Costa Rica. The locals can identify most of them; we generally are happy to be able to tell that it is cedar. the shoot-borer (Hypsipylla grandella). Please read about mahogany for a discussion about this pest. The aromatic wood is in high demand in the American tropics because it is naturally termite and rot resistant. 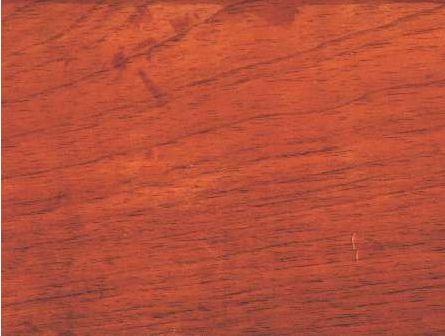 Spanish cedar is a tree of the New World tropics and requires well-drained soils, preferably limestone. In the rain forest, the trees are generally scattered among forest dominated by other species. In Costa Rica, the wood is used extensively for homes, especially for furniture and paneling. (We make a lot out of it in our furniture factory.) There is considerable variation in the wood, but all of it is beautiful. It is very stable, so it is also preferred for making musical instruments. This Spanish cedar on our plantation is 4 months old, and is shown next to a 1-meter flat. 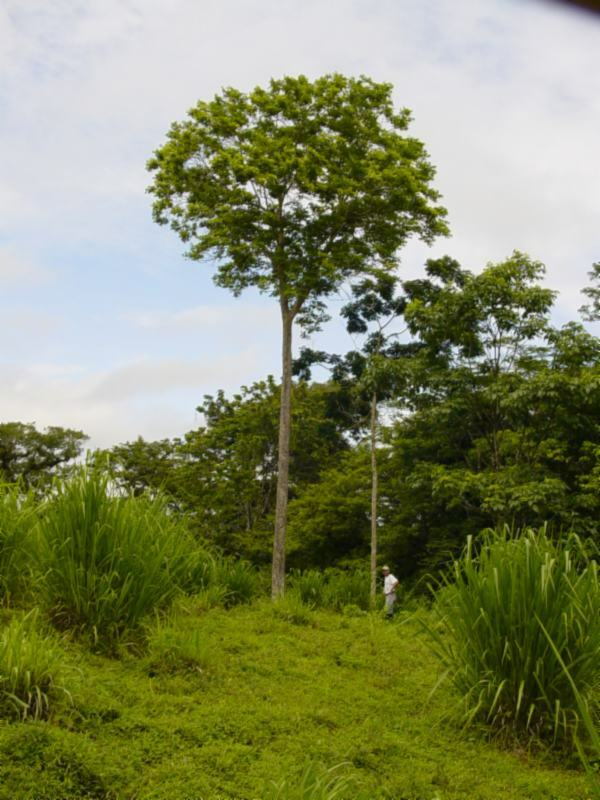 The large leaves surrounding it are tiquizque, grown between the trees as an agroforestry practice for weed control. Unlike teak, Spanish cedar is not a pioneer species (see Teak for more on pioneer species), so it does better when it has some shade. This year we discovered that the trees planted near mature trees were actually doing better than those in the middle of the field, unlike teak. This opens up some very interesting possibilities for us. One of the things that has pained us is the normal practice of cutting down the trees in the field to make room for the plantation trees. Usually there are only two or three large trees per field, and we have decided to leave these "mother trees" standing. When all the plantation trees have been harvested, many of these giants will still be living, and new, protected rain forest will be growing up around them. Mature Spanish cedar can have a bole (the harvestable trunk) of between 20 and 30 meters. The picture on the left is a tree no more than 30 years old, and part of it is below the hill! The growth rate is similar to mahogany, and the current market price is about half that of teak and about double that of oak.